Brandi has admitted to dipping into the lady pond in the past, namely to have three-ways with Eddie Cibrian while they were still married. 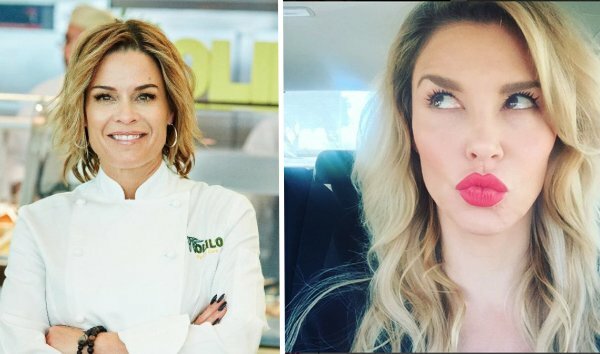 She also notably kissed Carlton Gebbia, her former Real Housewives Of Beverly Hills co-star, but sources report that Brandi and Cat, one of the judges for My Kitchen Rules, had “this whole lesbian relationship” during filming. Isn’t that a conflict of interests?! Cat recently divorced her wife, Jennifer, and Brandi was her rebound. How perfect. Cat and Brandi were reportedly “hooking up” for two weeks during filming and spent a lot of time together. Once filming wrapped, Brandi ended things because she didn’t want to be on record as having a serious relationship with a woman. Yeah, flings are more her brand anyway! Brandi and Cat are “just friends now,” the insider confirms to Page Six. Well, I mean Cat’s a lot more stable than most of Brandi’s hookups, so I guess she made some progress on Famously Single… Brandi has since moved on to a single father she met via Tinder. TELL US – DO YOU BELIEVE BRANDI AND CAT HAD A FLING? New Real Housewives Of Beverly Hills Star Dorit Kemsley’s Husband’s Past Bankruptcies Revealed!